As we all know, Thanos is getting a lot of press these days. And he’ll be in the spotlight again as we get a special look at some of his most infamous stories with the upcoming THANOS #1, written by Tini Howard with art by Ariel Olivetti. But let’s pause for a second and ask ourselves – is the Mad Titan really that bad? Sure, he snapped half of all life out of existence. But he has to have some redeeming qualities, right? Maybe we’ve been looking at Thanos the wrong way. To try and answer that question, we’re taking a look at five times Thanos was the hero of his own story. In 1990’s THANOS QUEST and 1991’s INFINITY GUANTLET, Thanos was on a mission to hunt down the Infinity Gems. And sure, stealing these super powerful stones in order to wipe out billions of people is, shall we say, ill-advised. But he did it for love. He wanted to prove to Death that he was worthy of her affection and respect. And yeah, this probably wasn’t the foundation of a healthy relationship, but wasn’t his heart in the right place? 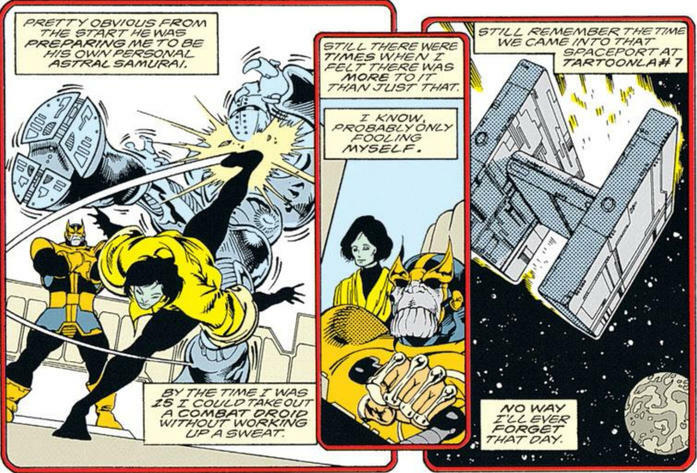 Thanos is probably best known for his infamous snap, but there was a time he actually saved all living beings. 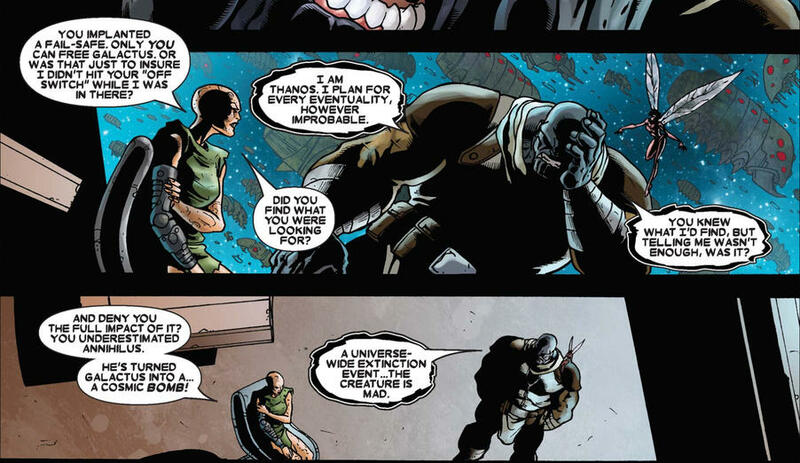 In 2007’s ANNIHLATION #4, when he learned that Annihilus planned to use the Power Cosmic to destroy all life except for himself, Thanos attempted to free a detained Galactus so he could defeat Annihilus. 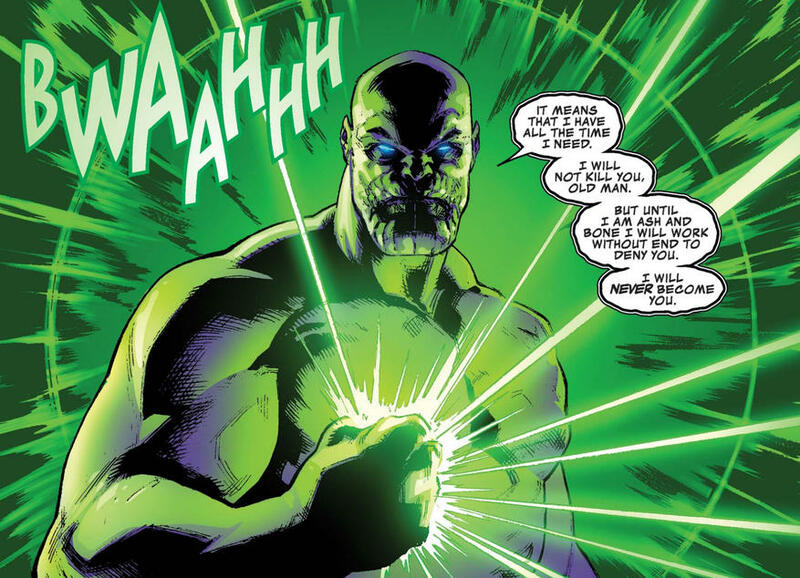 Unfortunately, Drax killed Thanos (in the comic book sense of the term) before he had the chance to follow through with his plan. Luckily, Drax found out that Thanos had created a failsafe device that would allow the Silver Surfer to free Galactus in just such a situation. So basically, the entire Marvel Universe would be dead if not for the Mad Titan. Ok, so Thanos’ parenting skills were admittedly pretty questionable. And their relationship has been, at best, complicated. But Gamora was the last of her species and likely would not have survived if not for Thanos. And it’s because he trained her to be the “deadliest woman in the galaxy” that she’s able to go on and team up with the likes of the Guardians of the Galaxy, the Avengers, Adam Warlock, Mar-Vell, and others. 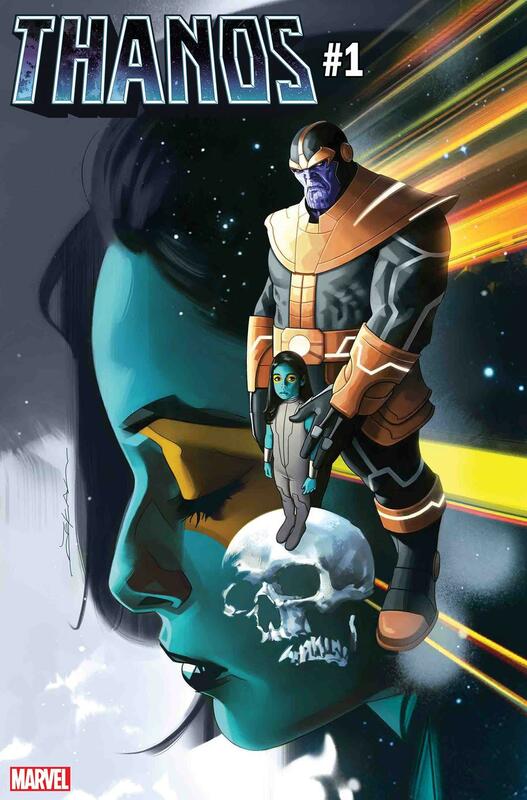 He might not have been the most emotionally present dad, but Thanos did, at least, raise Gamora to be a formidable fighter, and she uses those skills to become a hero. As the events of 2016’s THANOS series unfolded, the Mad Titan was taken millions of years into the future by the Rider, where he encountered an older version of himself who destroyed nearly all life in the universe. He saw how miserable his older self was, despite having succeeded in his destructive goals. And when he traveled back in time, we saw the future Thanos’s world crumbling around him, meaning present-day Thanos had taken steps necessary to change the timeline. So Thanos was, in fact, capable of self-reflection and willing to change his ways. Even villains can do good deeds now and then. In 1994’s THOR #471, Thor found himself suffering from Warrior Madness, which sent him into an unstoppable and violent rage. 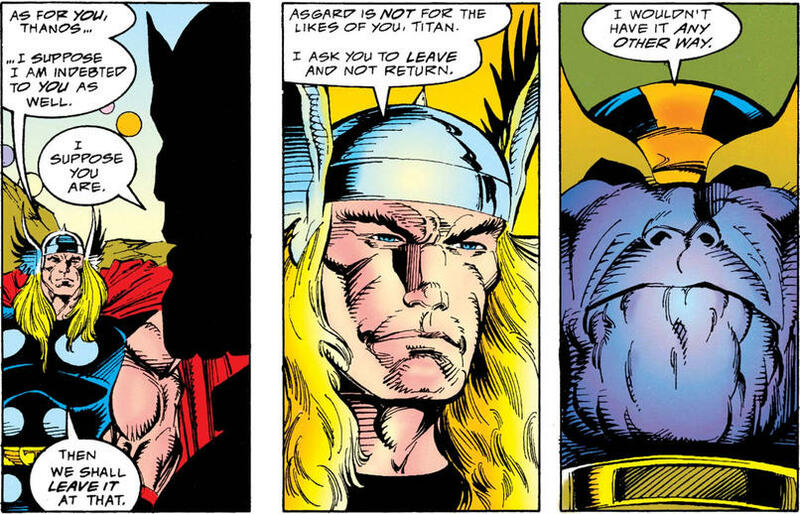 There aren’t many who can go against a god who’s in that state, but Thanos and the Eternal managed to drag Thor to Odin, who cured him of the madness. Sure, Thanos had his own reasons for doing it… but it was still a nice gesture! Clearly, Thanos rarely gets the benefit of the doubt. He has done some pretty awful stuff, but there are plenty of times when he’s just misunderstood. Even the Mad Titan has a heart! THANOS #1, written by Tini Howard with art by Ariel Olivetti, goes on sale Wednesday, April 24. You can pre-order your copy today online or at your local comic shop!